Secure and reliable cloud backup and cloud storage solutions. 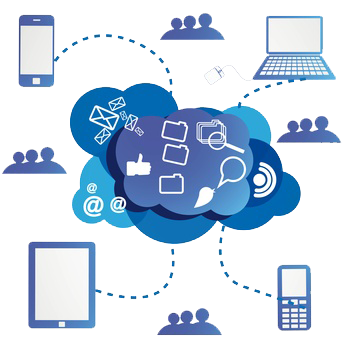 Complete Cloud provides high quality online cloud backup solutions for Australian businesses. Get your business up and running fast with super-quick file restoration in case of important data loss or a hard drive failure. Get answers to some of the most frequently asked questions about Cloud backup below. "Why would I use cloud backup?" Can you afford to lose your data or have you had the painful experience of losing it in the past? Whether a PC or server crashes, you forget your laptop in a taxi, you get a virus or you spill coffee on your laptop, the first thing that comes to mind is that do I have a backup of my data. Cloud storage and backup backs up your files as they change and is always available to restore from. You never have to ask yourself that question again, do I have a backup of my files. "How does back up work?" You download and install a quick application, decide which files you want to back up and your files start backing up to the cloud. You have access to change your preference and setting at any time. Your data is secure with industry leading AES-256 encryption and admin-controlled keys while being sent and stored. Only you decide who can see your files. "Who can see my files?" Only you can grant access to users to see your files. No one can get access to your files without your permission. "Will I run out of room to store files?" Your account comes with 20GB-100GB of storage depending on which plan you select. This is usually enough to meet most users requirements. If you need more storage space contact us to arrange it. "Isn’t my office server backup good enough?" How frequently is your server backed up? How easy is it to restore files? When was the last time you restored files from a server backup? What is the cost associated with restoring a backup? Some businesses find that it difficult or expensive to restore data from a backup. With Cloud stage and backup, restoration is free and is one phone call or click away. "What about my network or external hard drive?" Do you back up your data regularly? Are you backing up the right files? Is your external or network hard drive in the same location as your computer? Do you store copies of your data offsite in case of theft or a fire? If your data is critical to your business this might not be the most effective way to back you your data. "Can’t I recover my data from a broken hard drive?" Companies offer services to retrieve data from broken hard drives but there is no guarantee they can restore your data and it costs thousands of dollars. In makes financial sense to invest in cloud backup at a fraction of that cost with guaranteed results. That depends on your current internet connection and the amount of files you edit and what you decide to back up. As part of our instillation process we will help you access your current connection and can recommended a more suitable connection if required.